No association was found between a pro-inflammatory diet and an increased risk for incident psoriasis, psoriatic arthritis (PsA), or atopic dermatitis (AD), according to a study published in the Journal of the American Academy of Dermatology. In this large, retrospective cohort study of US women aged 25-42, investigators analyzed data on risk factors and diseases collected through the Nurses’ Health Study II (NHS-II) using biannual questionnaires since 1989. Diagnoses of psoriasis or PsA by a clinician (1432 cases of psoriasis and 262 cases of PsA) were confirmed using the Psoriasis Screening Tool (PST) and the Psoriatic Arthritis Screening and Evaluation (PASE) questionnaire, respectively. Only validated cases of psoriasis and PsA were included for a total of 85,185 patients. Cases of AD were assessed by self-report in 2013; a total of 63,443 patients were included. Assessment of diet was performed using food frequency questionnaires that were administered every 4 years, beginning in 1991. Empirical dietary inflammatory pattern (EDIP) scores were calculated at baseline and at every 4 years. EDIP scores were calculated as the cumulative average score, to best represent habitual long-term dietary intake. There was no significant association found between pro-inflammatory diet and incident psoriasis. A direct association was found between high EDIP scores for PsA, but this was no longer significant in multivariate model 1 (adjusting for age, race, BMI, smoking status, alcohol intake, calorie consumption, and exercise) and multivariate model 2 (additional adjustments for cardiovascular disease, hypertension, hypercholesterolemia, and type 2 diabetes). There was no association between EDIP scores and incident AD in either the age- or multivariate-adjusted models. There were no differential results for AD found when stratifying for a history of asthma. Limitations of this study include its observational study design and potential misclassification arising from questionnaire-based diagnoses. Based on these findings, investigators find no reason for physicians to counsel patients on risks associated with a pro-inflammatory diet and potential impact on psoriatic disease or AD. Disclosures: This study was funded by the Brown University Department of Dermatology and an investigator-initiated grant from Regeneron and Sanofi. Two authors declared affiliation with Sanofi. Please see the original reference for a full list of authors’ disclosures. Bridgman AC, Qureshi A, Li T, Tabung FK, Cho E, Drucker AM. 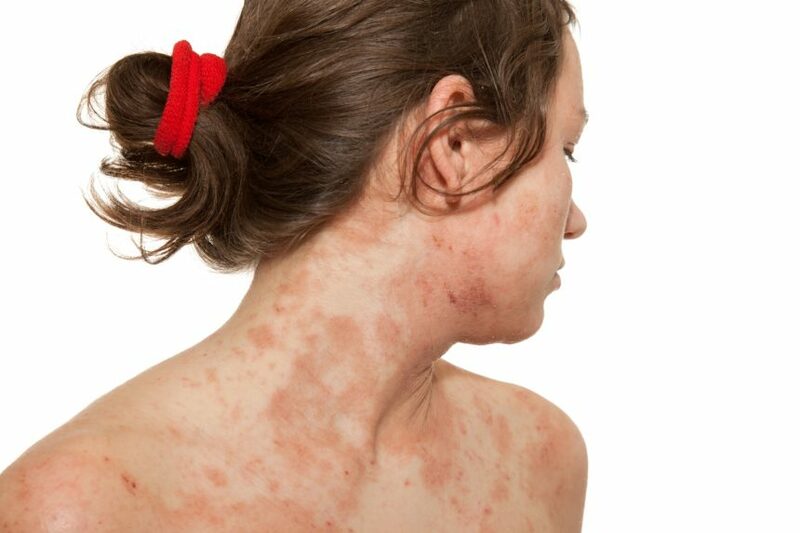 Inflammatory dietary pattern and incident psoriasis, psoriatic arthritis, and atopic dermatitis in women: a cohort study [published February 21, 2019]. J Am Acad Dermatol. doi: 10.1016/j.jaad.2019.02.038.